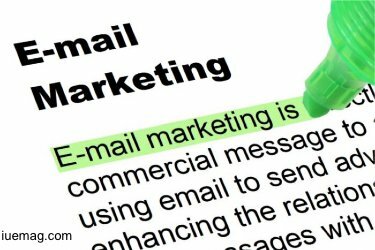 eMail marketing is an art & it's best to master it early on to bring the power of terrific outreach to your business. Here's your chance to get a hack of the legendary hacks for eMail marketing. Read ON! For most people, personalization in this sense means addressing the prospect by name. We'd like you to think bigger. Anyone with the right software can add a personal greeting to the email, and just about everyone does. Why? Because there's no question that it works. Research by Statista shows that email rates in the United States in 2016 were boosted by 5.7% just by personalizing messages. Now think bigger. If just using someone's name in the email boosts opening rates by 5.7%, what effect will have a personalized subject line? Or thinking even bigger — sending someone an email with an offer that is perfect for them? Personalization, in this sense, is more about providing the right person the right offer at exactly the right time. That, in turn, means segmenting your subscriber list so that you can group clients with the same needs and pain points together. Let's stand back a second and look at things from the client's perspective. They want to know that your company appreciates them. They want to know that you understand them. How do you demonstrate these concepts to them? You could send an email out thanking them for their custom, or you could show them that you appreciate and understand them in one fell swoop. How? By not wasting their time sending out offers that have no relevance to them. Unfortunately for you, this is going to mean spending more time when you're creating campaigns. This means identifying your ideal target audience for a particular campaign. You'll then need to match this to particular segments of your subscribers. It could be a single segment, or it could be several. The point is that the offer must be relevant for the clients you are sending it to. You're not done yet, though. You also need to craft a message that is carefully targeted to match that particular segment. This, in turn, means that you might well have to craft several different emails and run mini-campaigns for each. The benefit, though, is that the message is more likely to resonate, and your click-through rate should improve. Personalization, then, is not just about putting the right name in the greeting. It's about crafting each campaign with a particular client segment in mind.